The Turán III prototípus is the first Royal Hungarian Army medium tank in World of Tanks, though you'll find it in-game as a German tank. This distinctive-looking tier V Premium vehicle was based on the Czech Škoda T-21 and almost 300 were produced from 1941-1943, with the Turán seeing service with the Royal Hungarian Army on the Eastern Front. Pick up Your Turán III Today! 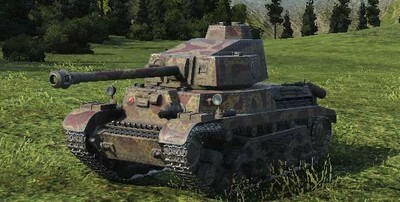 The Turán is armed with a derivative of the German7.5 KwK 40 L43 cannon, which offers accurate fire, good damage per shot and rate-of-fire, and flexible elevation and depression set in a well-armored turret. Check out Basic or Fully Loaded Turán III configurations on tanks.gg! The Turán III is a "close support" medium tank, so you should initially use its speed to control key choke points or generally push behind your light and fast medium tanks. This lets you act as a "scout destroyer" while avoiding the front line. Next, watch the minimap carefully and react according to how the battle progresses -- hold a flank or central position until help arrives, and then act as a "fire brigade" where needed. Loadout: What Equipment, Consumables, and Crew Skills Should You Use? Alternatively, Enhanced Gun Laying Drive can be equipped along with a Binocular Telescope to maximize the tank's potential at range. For the first Crew Skills, select a combination of "Repairs" or "Camouflage" across the board. When it reaches 100%, reset the completed Skills to "Sixth Sense," "Snap Shot," "Smooth Ride," "Situational Awareness" and "Safe Stowage." Re-train the second Skills again as the same combinations. When you achieve the second Skill, reset again with "Brothers in Arms" for all Crew members, then use the above Skills/Perks as the second Skills, and re-train for a third time. The Turán III is a good addition to the popular pool of tier V Premium tanks – it's a competitive and unusual medium tank that can "carry" a game! 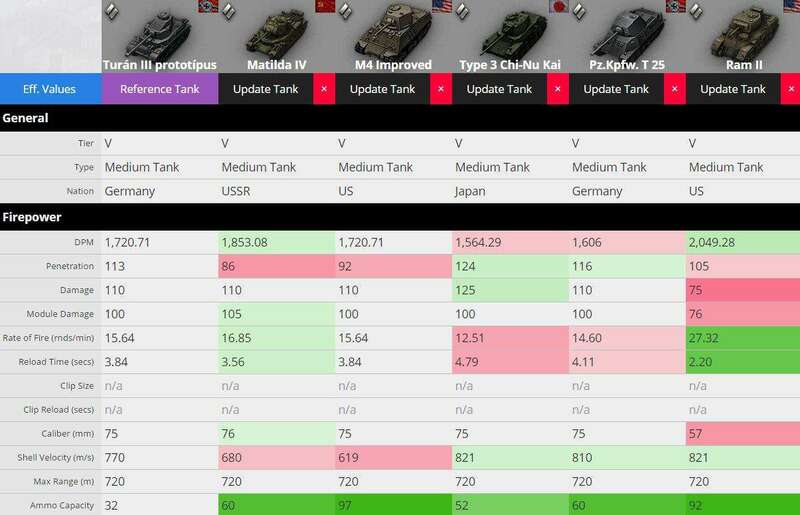 Compare the Turán III with Other Tier V Premium Tanks! Check out these full stats and more on tanks.gg! Hear what Gold League player Commander_Jay has to say about the Turán III in his review!